If you have ever found yourself headed down the wrong direction on a road, it is scary! The quickest way to solve this problem is to make a U-turn. The same can be true about the road to success and significance. If you are headed the wrong way, then make a U-turn! 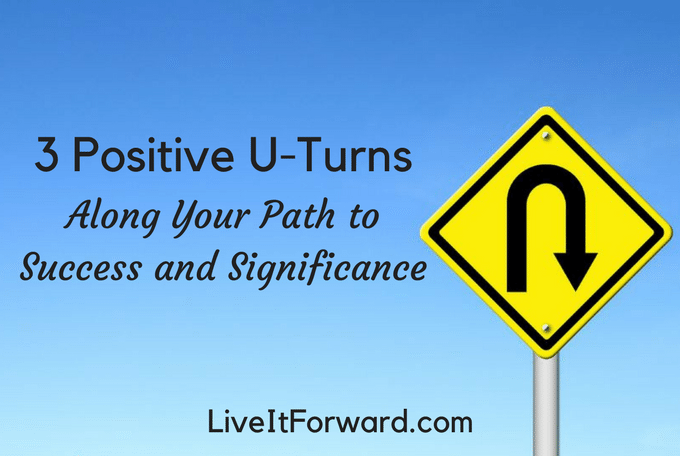 In episode 047 of The Live It Forward Show, Kent Julian shares three positive U-turns you can make on your path to success and significance.